Support New Lean Mass Growth and flagyl online australia Reduce Muscle Breakdown.. 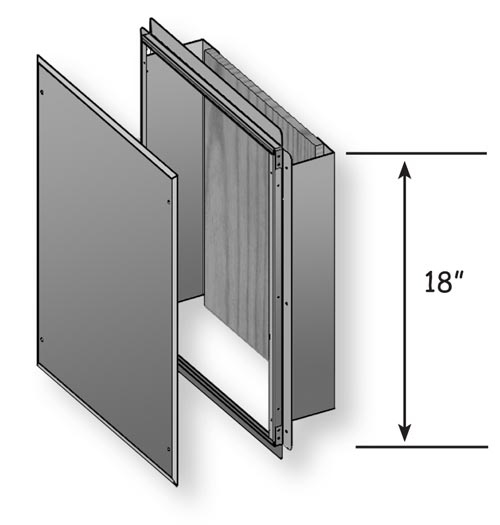 This enclosure is made of 20-gauge zinc-coated fabricated steel with a powder coated white finish. It is open top and bottom to the inside of the finished wall and has a door/lid that is fastened with 4 zinc-coated Phillips sheet metal screws. The door is embossed with the word “Communication”. It also includes a 1/2″ plywood backboard for easy mounting of low-voltage utility equipment. The BN14184W-IDW is UL listed (UL1863).